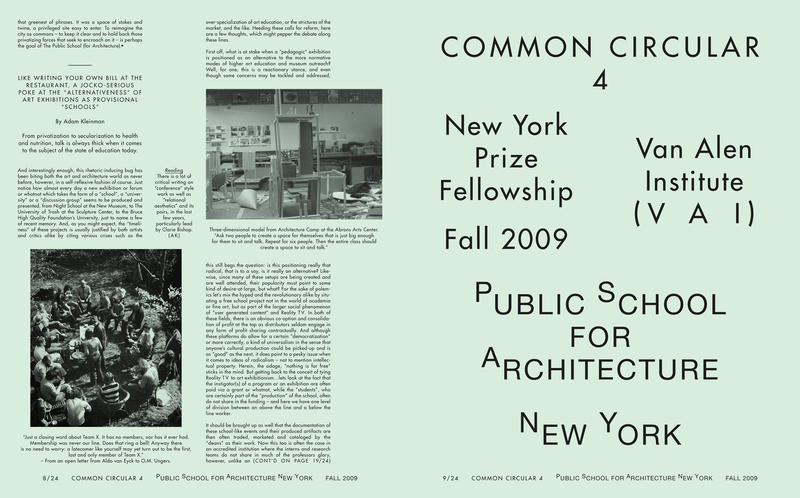 common circular 4 was published on the occasion of the ending of the public school (for architecture) new york and the beginning of the public school new york. 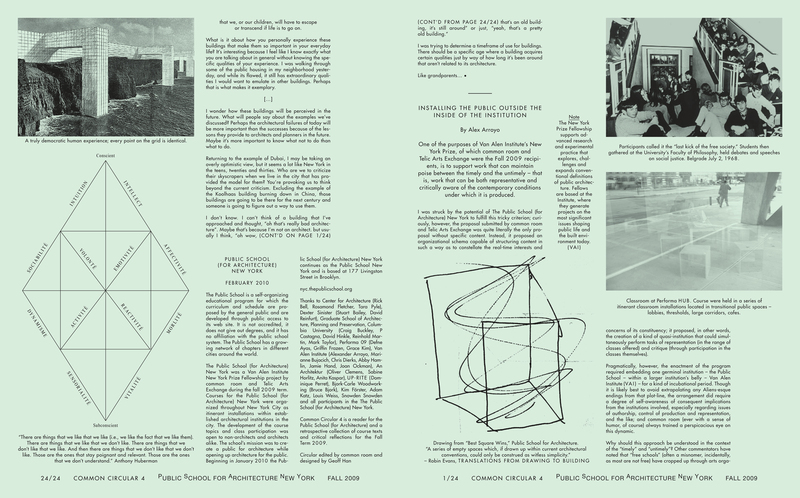 1 – common circular 4 functioned as an annual report for the public school (for architecture) new york. 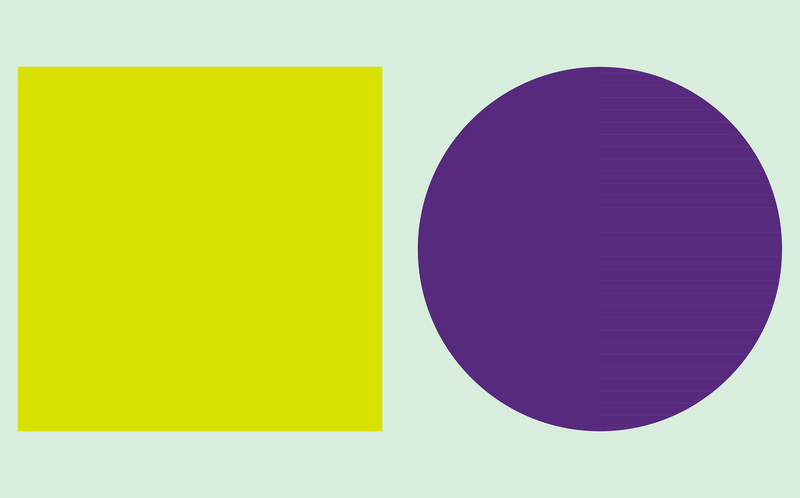 2 – the circular is intersected by geometric shapes printed in primary and secondary colors. the primary colors reference the identity of the public school (for architecture) new york, the secondary colors the continuation as the public school new york. 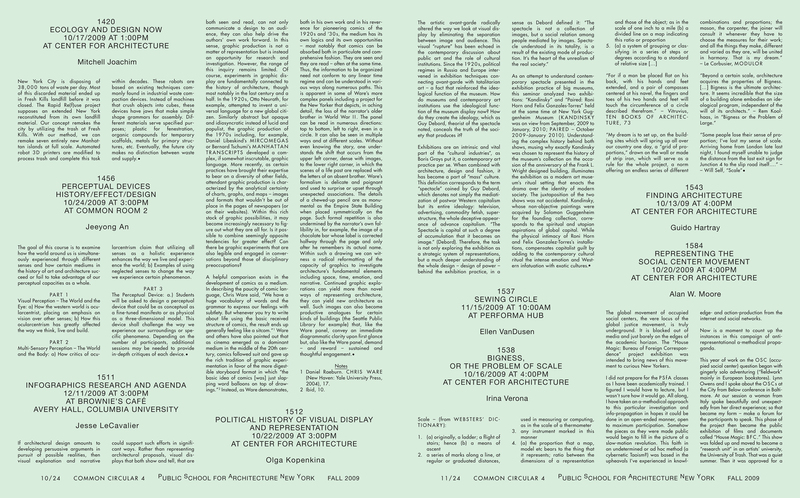 3 – the center signature of the circular contains all the syllabi for classes that took place at the public school (for architecture) new york. 4 – a sampling of public school (for architecture) new york classes. 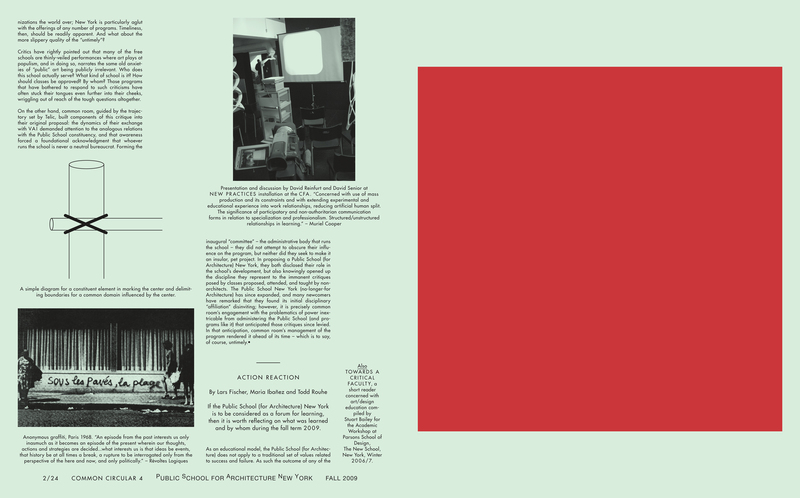 5 – the centerfold is printed in primary and secondary colors. 6 – images from classes that took place at the public school (for architecture) new york. 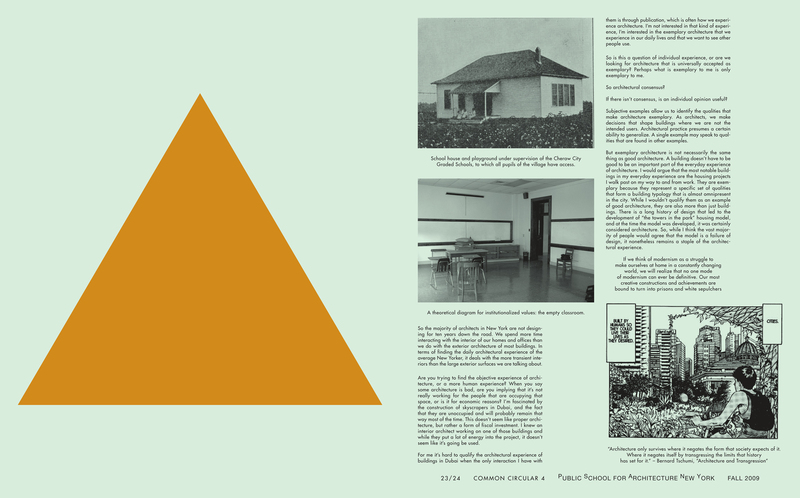 7 – an advertisement for the bjork-carle woodworking that helped fabricate the public school (for architecture) new york furniture. 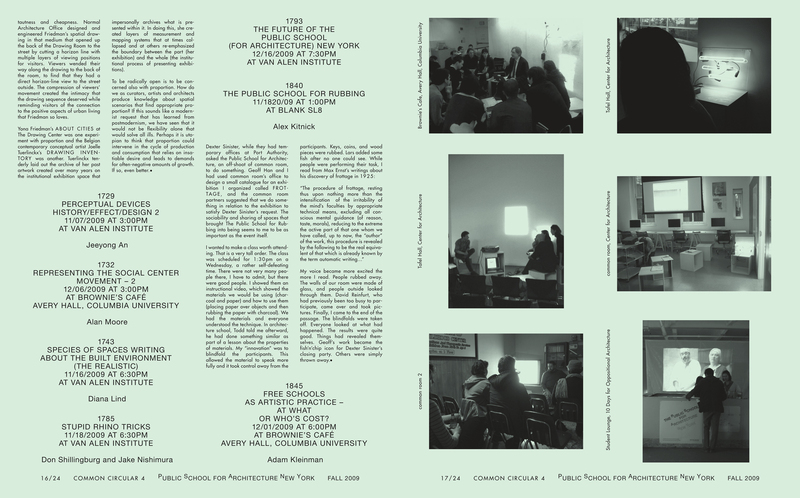 8 – ‘you know it when you see it,’ an edited transcript of the first public school (for architecture) new york class. 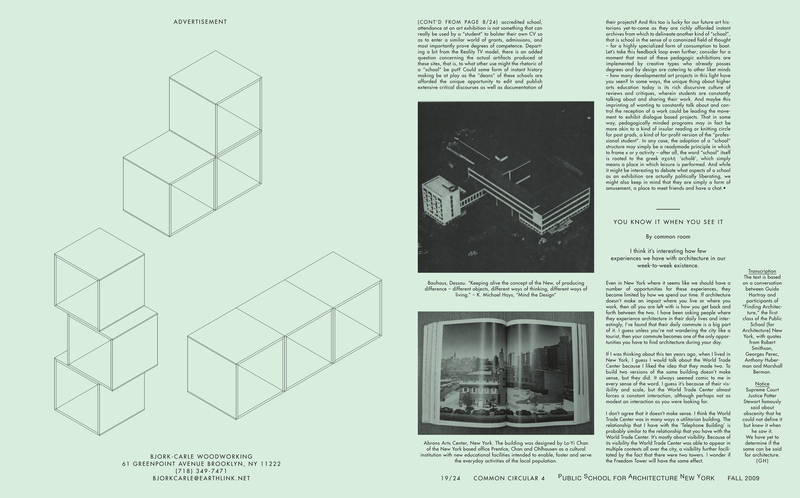 common circular 4 is a reader for the public school (for architecture) and a retrospective collection of course texts and critical reflections for the fall term 2009.